While you and the girls are living it up in sunny Barcelona on your hen do in Barcelona, you just have to spend some time in the crystal clear Mediterranean Sea! This jetski and boat combo pack is the perfect opportunity! 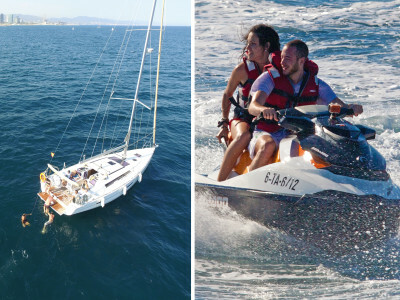 Your group will spend two hours tearing through the water on a jet ski and kicking back in a sailing boat! The ultimate way to chill out, pull off some tricks and spend time with the girls under some golden sunshine!